At IACP 2018, in booth #2701, Genetec Inc., a leading technology provider of security, law enforcement, and analytics solutions, will showcase a comprehensive portfolio of products designed to enable communities and law enforcement agencies to foster greater collaboration through technology and to build-out Strategic Decision Support Centers (SDSC) designed to meet local neighborhood requirements. "Genetec is working successfully with cities like Chicago to provide a powerful and accessible decision support system as the foundation of their SDSC strategies. Empowered by our technology it is now also for small metro areas to cost-effectively deploy an SDSC to target unique neighborhood challenges and investigations," said Giovanni Gaccione, Law Enforcement Practice Lead at Genetec. "This new approach to edge-based policing, public safety and community service has yielded excellent results. Our law enforcement customers are seeing crime statistics fall and public trust in their policing improve." SDSC strategies are being actively rolled out by law enforcement agencies in cities around the world. The goal is to empower police leadership in both small and large metro areas to better direct resources and be more responsive to specific community needs. These localized decision support centers allow for the creation of targeted crime reduction strategies and improved investigations through data analysis, human intelligence and community input. IACP visitors will also be able to get hands-on demos of Genetec Citigraf, a public safety decision support system, Genetec Clearance, a digital evidence management system, and find out how Genetec Community Connect is helping cities build ties between local public and private sectors. 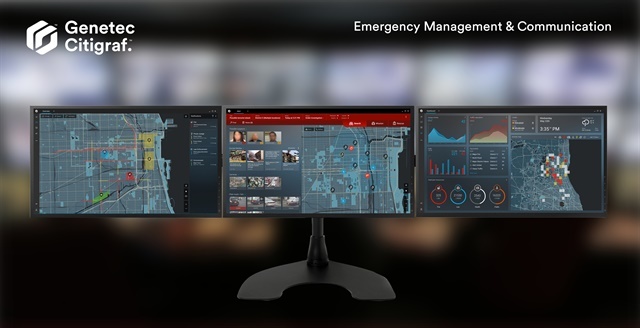 Genetec will demonstrate Genetec Citigraf, a public safety decision support system that unifies operations across city departments, disseminates timely information, and provides greater situational awareness. 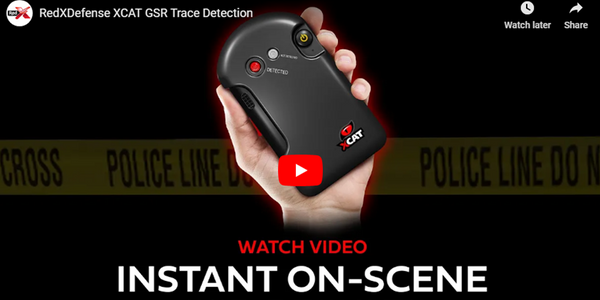 Citigraf is the foundation technology behind the SDSC approach to policing and features a powerful correlation and analytics engine that instantly detects and displays relevant information from disparate sources for officers and responders to act on; such as CAD (Computer Aided Dispatch) systems, CCTV footage, ALPR data, and RMS (Record Management Systems). It enables a fast 'on-scene' response with highly-accurate GIS location and visual information, ensuring officers and emergency responders can make safe and effective decisions for situations in progress. The amount of evidence available to investigators is increasing dramatically, supported by growth in surveillance systems, increased use of body-worn cameras and the omnipresence of smartphones. This helps public safety agencies solve crimes but presents new logistics and privacy challenges. To help address these challenges, Genetec has developed Genetec Clearance, a digital evidence management system that strengthens the cooperation between security departments, outside agencies, and the public. It speeds up investigations by allowing police officers, investigators and security managers to collect, manage, and share evidence from different sources. With Clearance, agencies can reach out to the general public and private businesses and involve them in crime-solving efforts. It provides a new, simplified sharing process, which will be showcased for the first time at IACP. Investigators can now instantly create a link for the public to share relevant video and photos from their cell phones and surveillance systems with law enforcement agencies. This link and custom QR code can be shared using social media, traditional media, the web or on the news. Anyone can then easily upload videos, photos, and other evidence directly from their phones or PCs into Clearance for police officers, investigators and security managers to review and use as part of their investigation. At IACP, Genetec will also highlight Community Connect, an initiative designed to build safer communities through greater cooperation between public and private organizations. 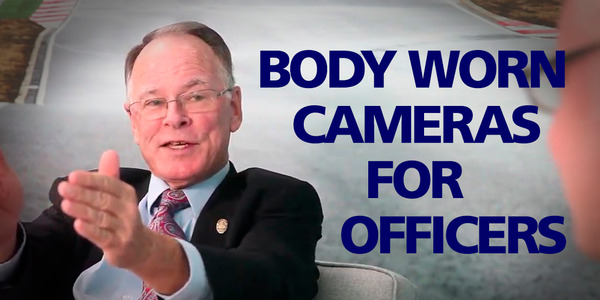 Community Connect connects law enforcement to privately owned cameras, connected to Stratocast or other third-party technology, from participating businesses and organizations throughout their city. This initiative helps cities create their own public-private partnership program with business owners, and work towards lowering crime, promoting economic growth and operating more efficiently, even with constrained budgets. Stratocast is a cloud-based video monitoring service from Genetec. Easy to deploy, it offers greater security through HD video surveillance and allows owners to keep an eye on their business from anywhere using their laptop, smartphone or tablet. As part of a city's Community Connect program, business owners can connect their cameras to the city's Genetec video surveillance network, expanding its reach and directly contributing to their neighborhood's safety. For more information about Genetec, visit: www.genetec.com.